We all need a bit of good luck from time to time. 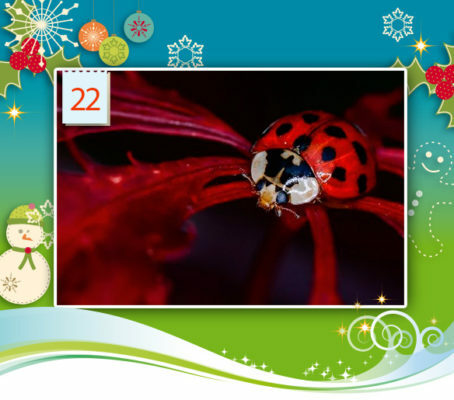 So, behind door number 22 of our Advent calendar, we find this lovely ladybird macro shot from our author Icy Ho’s Beautiful Beetles World in the UK wall calendar, full of close-up faces of tiny little critters. This entry was posted in Uncategorized by CALVENDO-Team. Bookmark the permalink.